A PPG is the link between the practice and our patients and is a volunteer group of patients who work with us to help us plan and improve our services by ensuring that the patient perspective is always represented. * assisting the practice in promoting good health. If you would ilke to join our PPG which meets quarterly, we would love to hear from you! What is a Virtual Participation Group? A VPG offers patients the opportunity to suggest ideas and voice concerns about the practice and local health care issues by email or letter. If you are unable to attend PPG meetings but still wish to have your say, why not join our Virtual Particpation Group? Members of the VPG will be asked their views by email. The success of the PPG and the VPG is attributable to the number of patients willing to take part and the amount of contribution they are willing to make. If you are interested in becoming an active member of either group, or if you would like any further information then please call us on 0117 9693106 or ask one of our reception team. You can also complete the online form opposite. 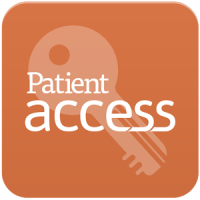 Patient Participation: making shared decision making a reality!